During the Antwerp Art Weekend, sat. & sun. 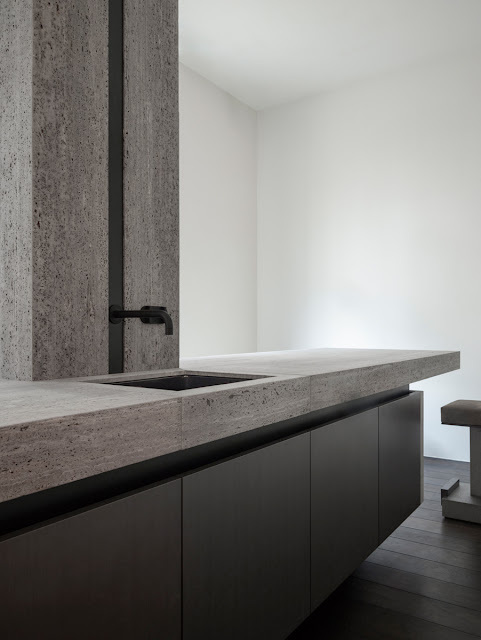 21 & 22 May Obumex Antwerp showroom presents a new minimalist kitchen with a sculptural concept designed by Belgian architect Glenn Sestig. 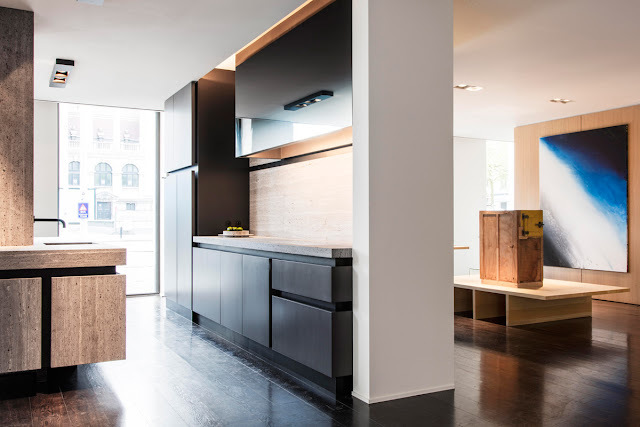 On the occasion of the Antwerp Art weekend, Obumex launches its totally new signature kitchen designed by the Belgian architect Glenn Sestig. 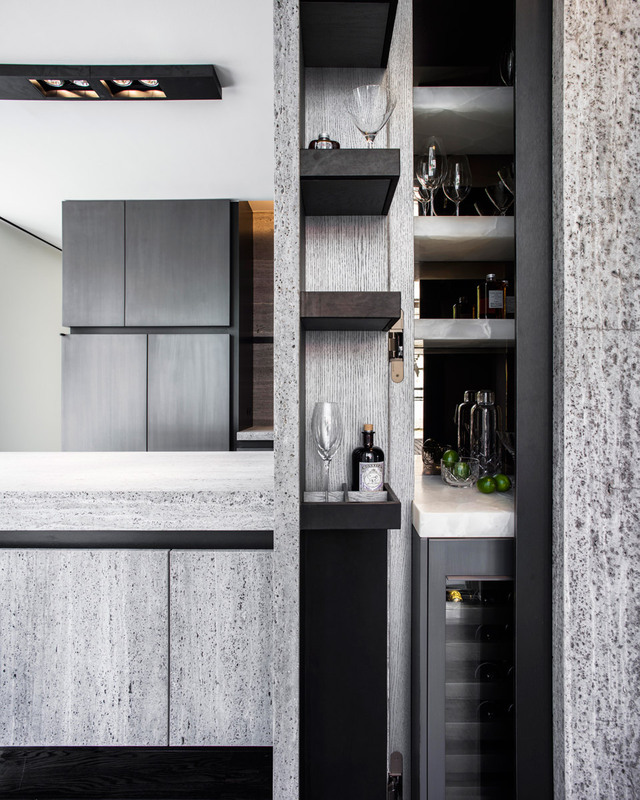 He invented a compact kitchen that simultaneously functions as a room divider and a bar. Ideal for luxurious city apartments where the kitchen may be a sculptural statement. 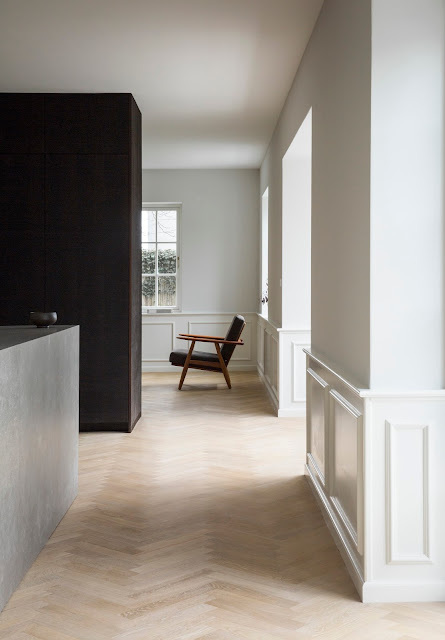 Antwerp - Glenn Sestig considers the kitchen as the best place to welcome friends. This was the starting point in his design for Obumex. His kitchen concept is one big aesthetical bar furnishing, which immediately strikes the eye by its verticality. 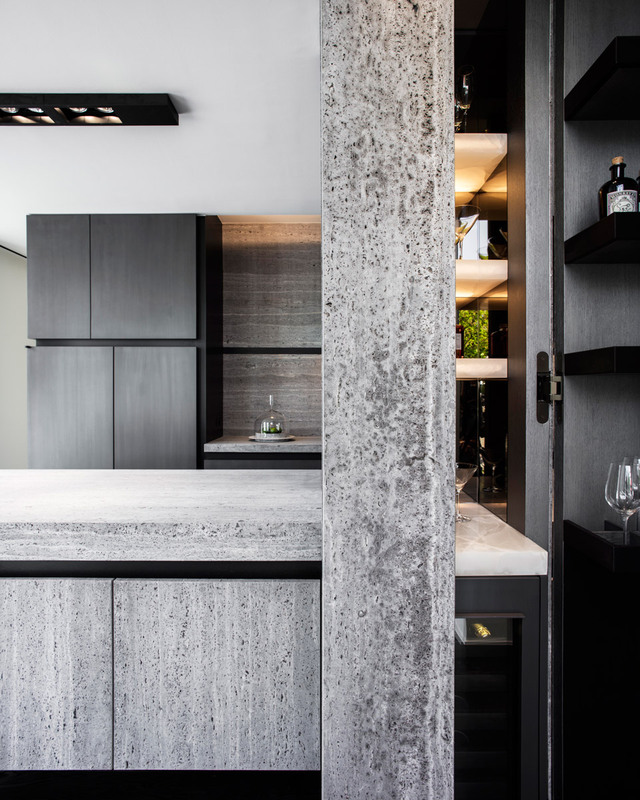 On Friday 20 May, Obumex launches, together with Glenn Sestig, its newest kitchen concept. The concept has already been introduced on the occasion of the Paris Maison et Objet fair in January 2016. Now it is launched on the Belgian market. 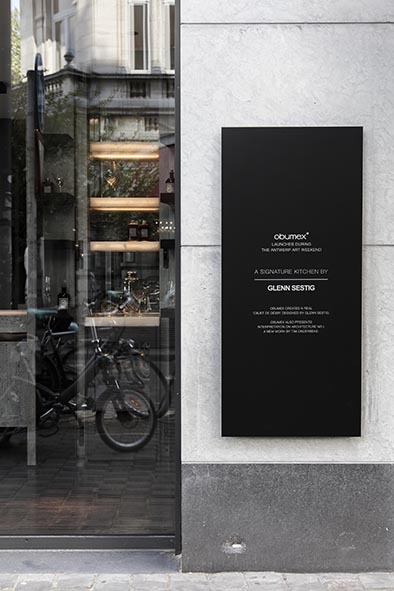 It’s not a coincidence that the Obumex showroom in Antwerp was chosen to make this introduction. This first for Belgium coincides with the Antwerp Art weekend. 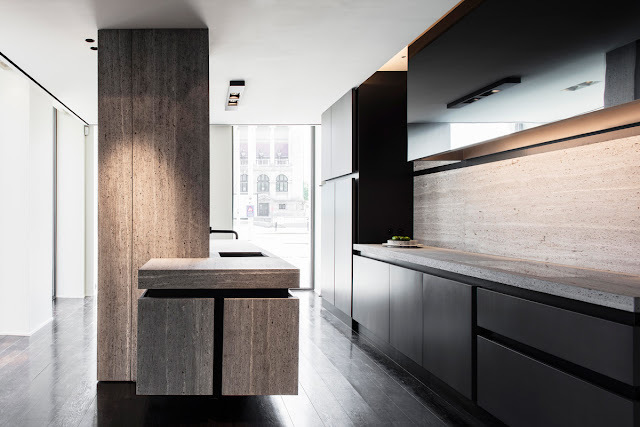 In addition, the luxurious kitchen perfectly fits in the urban ambiance of the city of Antwerp. The basic concept of the kitchen is a balanced combination of a vertical and horizontal volume. 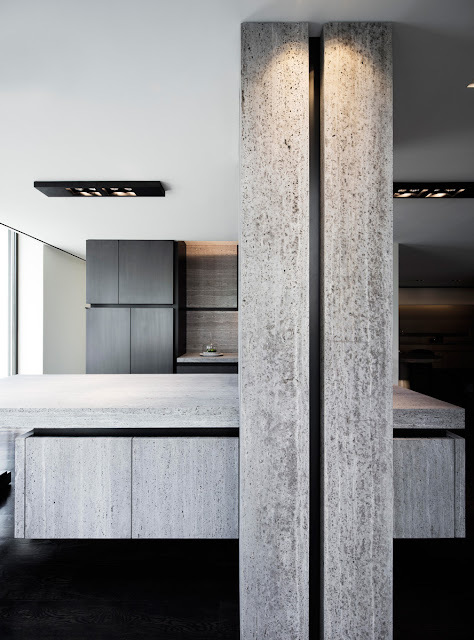 The horizontal beam serves as dining table, kitchen bar and worktop. The fridge and dishwasher are elegantly integrated. The innovation can be found in the vertical module. Behind that module, there is not just the bar cabinet with wine cooler, but also the kitchen sink and crane. These are tidily removed from sight thanks to the column in natural stone. As a result, this signature kitchen does not look like a functional work place at all. This is a kitchen, which does not look like a cooking site but as a contemporary sculpture. The kitchen is also 100 percent Glenn Sestig. The combination of natural stone, metal look and fumed glass is omnipresent in his residential and commercial architecture. Because of his vision and sense for materials, this Obumex kitchen is an elegant eye catcher: timeless, aesthetical but still contemporary. This kitchen concept is perfect for smaller luxurious apartments, second residences or penthouses. 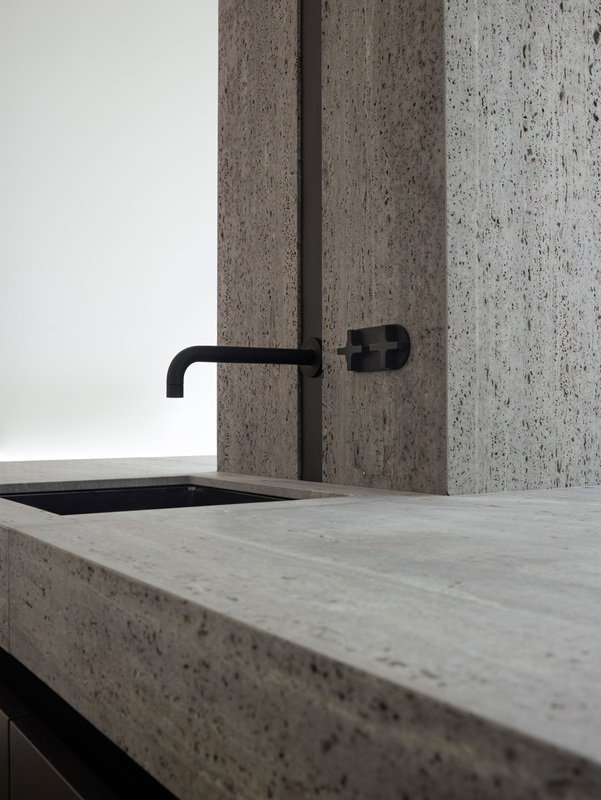 It is a sculptural object which unites 2 functions: kitchen and bar function. 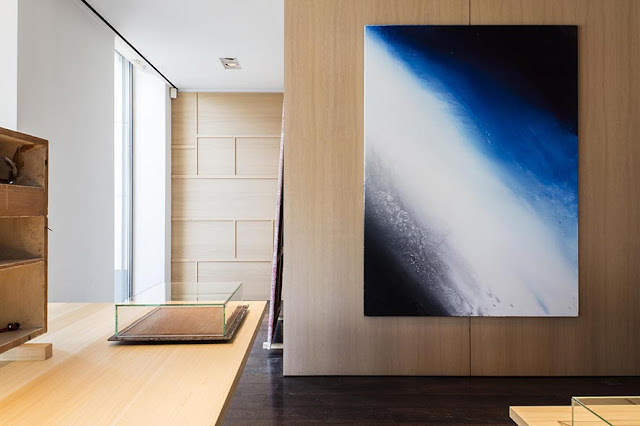 But also in a large residence, it can be an architectonic element, which divides the room cunningly. As always is the case at Obumex and for Glenn Sestig, the finesse of this architectural kitchen concept is in the details. The kitchen block and the worktop seem to float, because they rest on a deepened soccle. 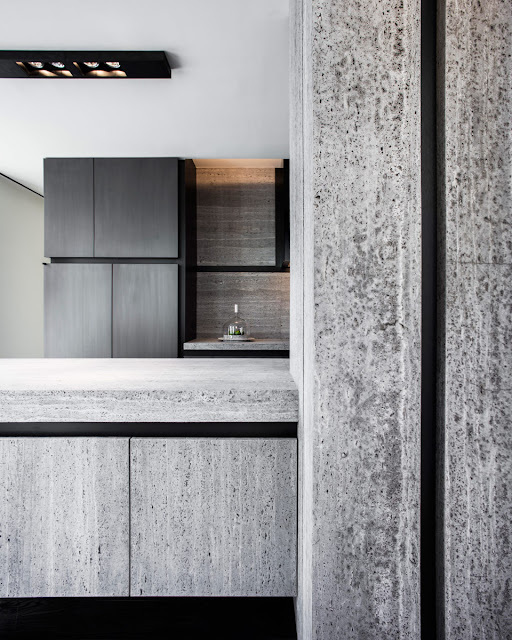 The vertical and horizontal natural stone elements are covered with travertine titanium, one of the favourite materials of Glenn Sestig. The accompanying bar stools are covered with velvety leather, an other Sestig classic. The central bar column is at the inside also finished with luxurious materials. The transparent shelves are made of champagne alabaster and leather. The mirror, the laminate with the look of brushed steel and the veneer with silver effect finish of the bar sculpture. 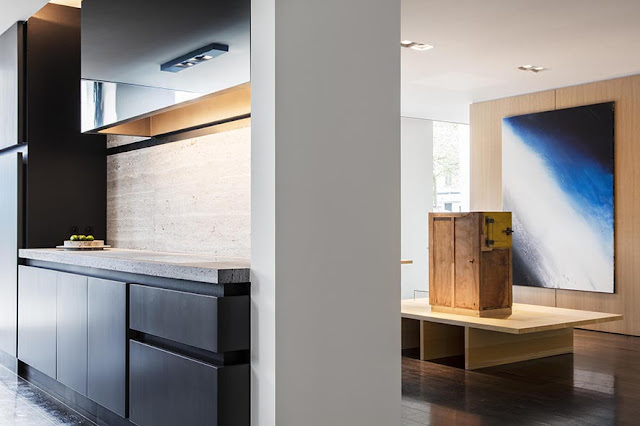 The Antwerp Art Weekend, a manifestation for contemporary art, is for Obumex the perfect moment to introduce the Signature Kitchen by Glenn Sestig and the work of the artist Tim Onderbeke to the general public. 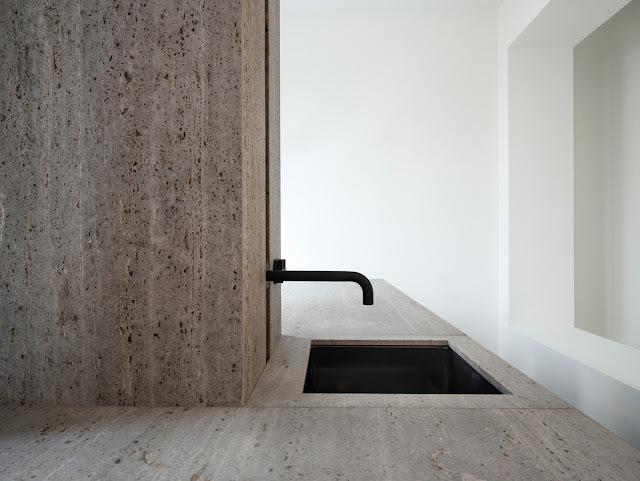 Tim Onderbeke engages in dialogue with isolated parts of the kitchen designed by Charlotte Perriand and Le Corbusier for L’Unité d’Habitation in Marseille. 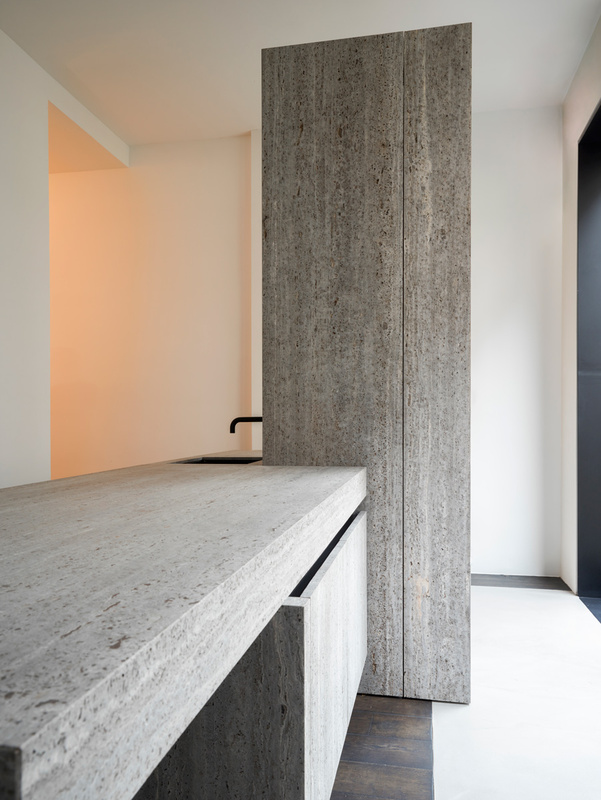 In la Cité Radieuse the kitchen can be seen as the pinnacle of daily life and its limitations, functioning within specific environment factors determined by the architect Le Corbusier. By his curatorial approach, Tim Onderbeke redefines objects, resulting in a scenography which functions as new artwork. This method is an intrinsic characteristic of the oeuvre of the artist, he tries to influence a spacious awareness by organising the living space.